It’s hard to beat summers in Oregon – long, sun shiny days spent rafting the rivers, cruising the dunes, building sandcastles on the beach, wine tasting, and exploring Oregon’s incredible natural destinations deemed the Seven Wonders of Oregon. 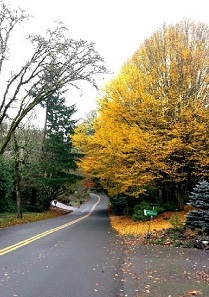 The only thing better than an Oregon summer is an Oregon fall. THIS is when our state beams with greatness. Those long, warm days linger, but the crisp air moves in, transforming our forests, coastline and wine country with golden flashes and pomegranate reds. Familiar hikes are taken to unfamiliar heights with new splashes of Mother Nature’s autumn pallet sprinkled throughout the trails. Fall is truly the time to explore Oregon. 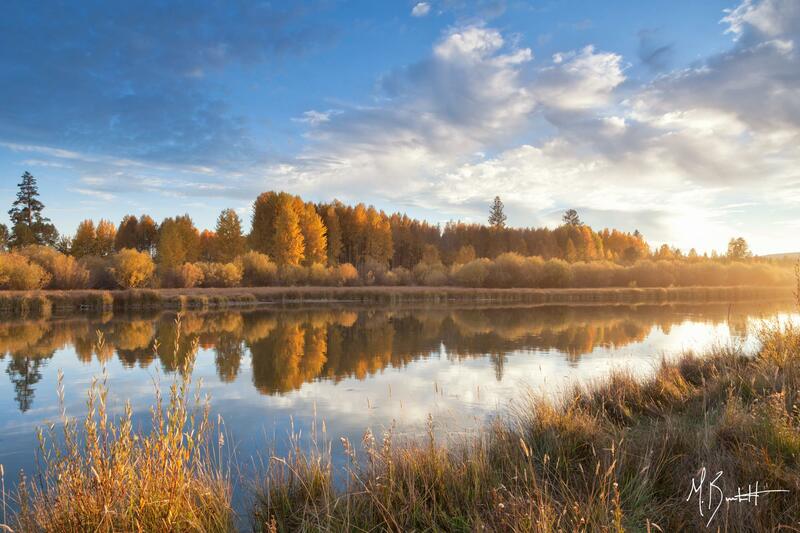 And the Oregon Fall Foliage Blog will make sure you know where to go and when to be there. Starting Labor Day weekend, we’ll post weekly updates from our leaf reporters stationed around the state. 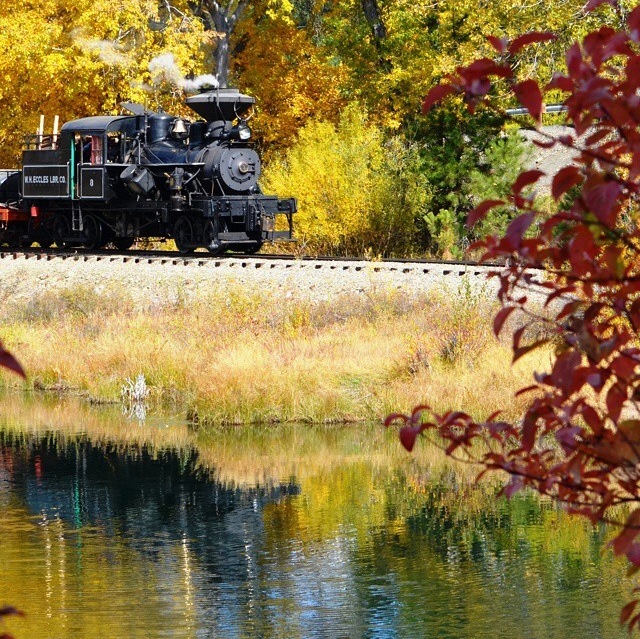 We’ll give you ideas for scenic drives, hikes and events for both the outdoor adventurer and the culinarian. 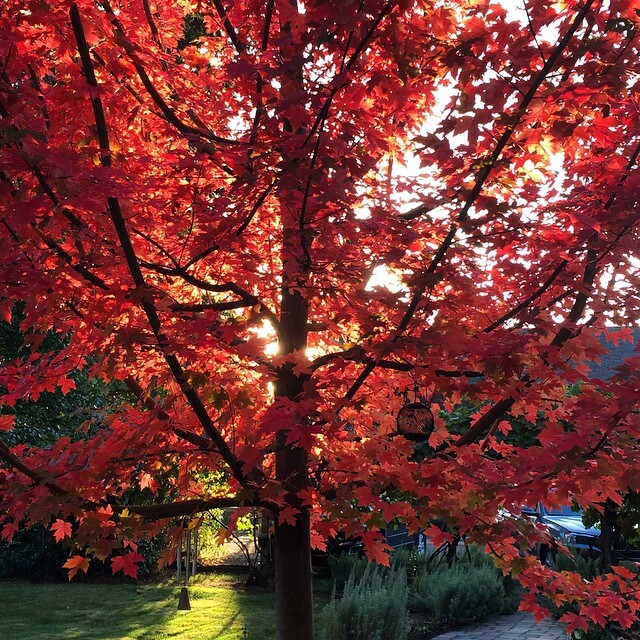 You can call also call the Oregon Fall Foliage hotline at 800.547.5445 Monday through Friday, 8 a.m. to 6 p.m., and Saturday and Sunday, 9 a.m. to 6 p.m.
Help us tell the story of the changing seasons. Follow us on Twitter and Instagram and like us on Facebook for photos of the day. 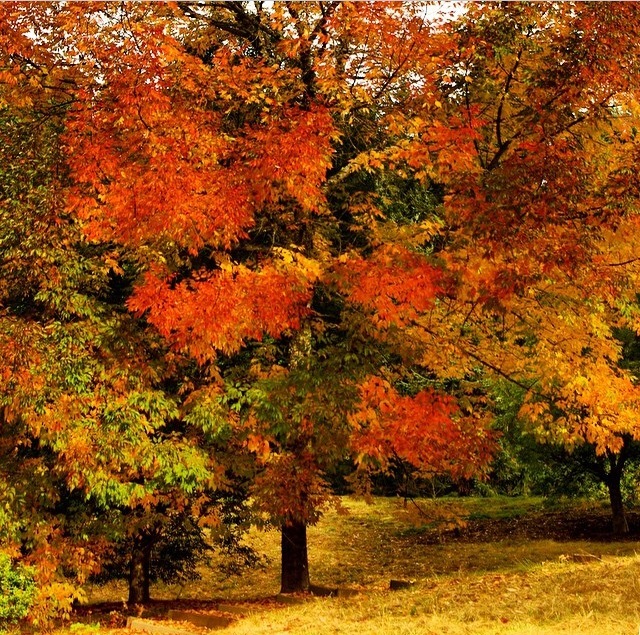 Use the #ORFallFoliage hashtag and we may share your posts with our followers. 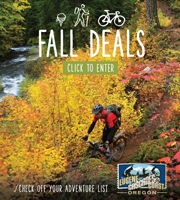 Don’t forget to check out our Fall Deals while planning your trip. The leaves continue to falter in Eugene with only a few left hanging onto their trees and the rest fluttering to the ground. Even with the season coming to an end, this region provides many opportunities to stay outside and experience nature. 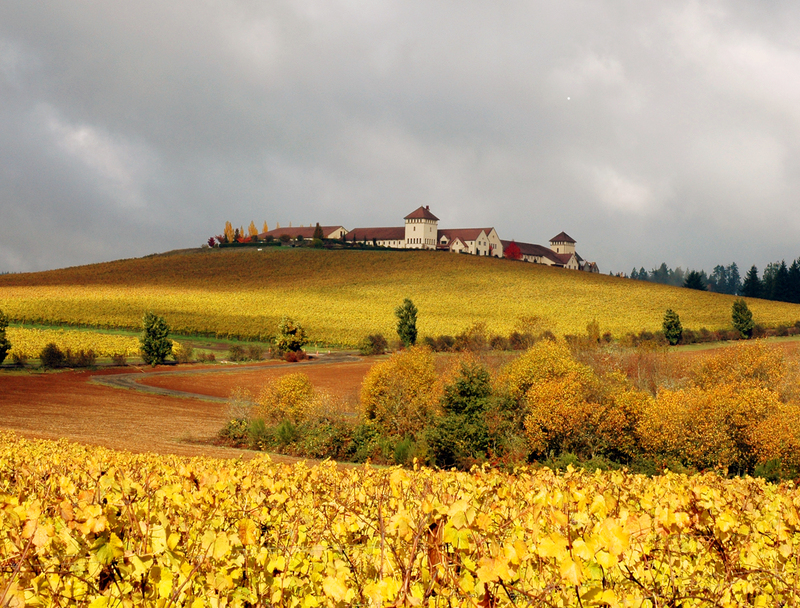 Mount Pisgah in Eugene is a wonderful place to explore year round and November is no exception to that. 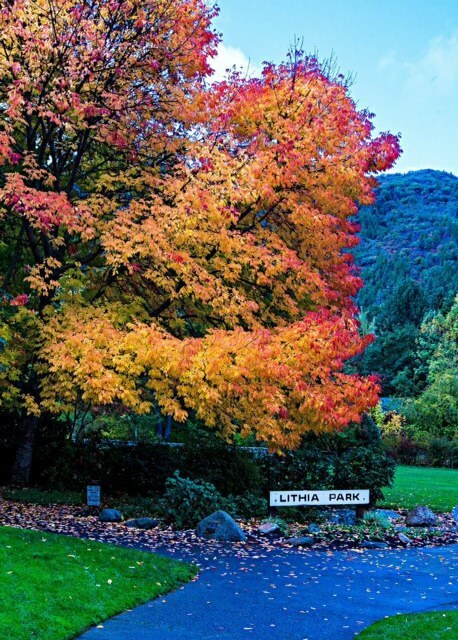 Even though most of the leaves have fallen, there still remain some vibrant reds and deep yellows holding on, and can be seen scattered across the mountain. 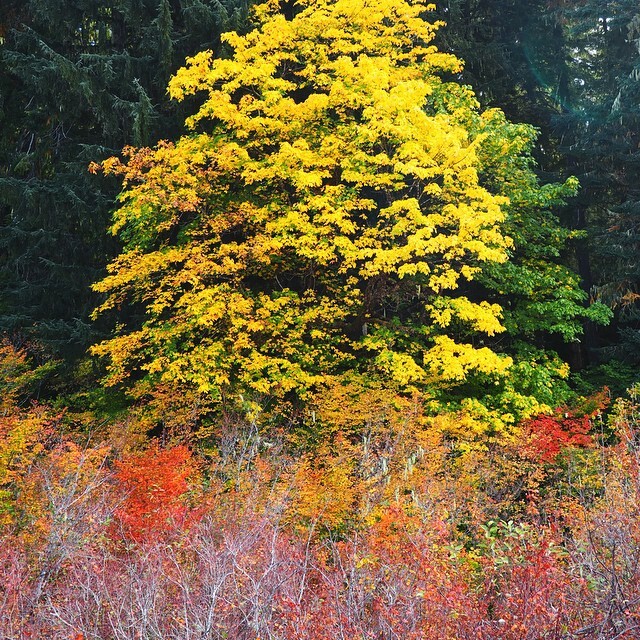 Explore new areas of Mount Pisgah by attending the Water Garden Ecology Walk and discover the birds, insects, fungi, and flora that make the Mount Pisgah Arboretum Water Garden their home during this time of year today, 10 a.m. – 12 p.m.